Jamie L. Reed, Psy.D. is a clinical psychologist who has experience working with children and adolescents in a variety of clinical settings with a variety of treatment needs. She also sees adults who have experienced trauma, as well as works with veterans in the public sector. 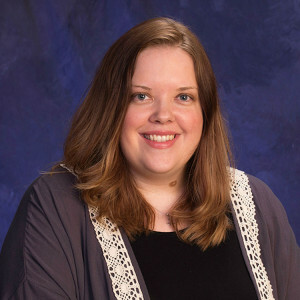 Dr. Reed received her Bachelor of Arts from the University of Toledo in 2004 and obtained her Doctorate in Clinical Psychology from The Chicago School of Professional Psychology in 2010. Her primary treatment approach is person-centered, and she utilizes a strength-based approach to instill hope and promote resilience. She especially enjoys working with those who have experienced trauma and seeks to help reconnection with one’s sense of safety and ability to trust, both of which may have been lost because of the traumatic event(s). She has training in Eye Movement Desensitization and Reprocessing (EMDR) as well as Trauma-Focused Cognitive Behavioral Therapy (TF-CBT). She is a proud pet parent to three cats. She believes that the word “family” can be defined in a multitude of ways with a variety of constellations and presentations.